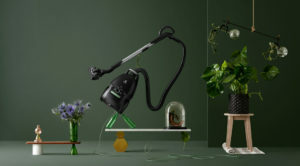 Electrolux introduced a green bond framework with an intention to raise funds earmarked for investments contributing to reduced environmental impacts from the company’s products and operations. The initiative is designed to enable debt market investors to allocate funds specifically to industrial projects with a positive climate impact or other environmental benefits. The proceeds will be used to finance or refinance projects covered by the environmental areas of Electrolux sustainability framework For the Better. This may include investments in R&D to improve the energy or water efficiency of appliances, development of recycled materials, elimination of refrigerants with high greenhouse warming potential, improved energy or water efficiency at Electrolux factories and increased use of renewable energy, for example through installation of solar panels. “We’re very pleased to complement our debt structure with loans that offer investors transparency around which projects they are funding as well as the environmental impact – said Therese Friberg, Chief Finance Officer of Electrolux -. As a sustainability leader in the appliances industry, Electrolux has a great opportunity to provide a credible alternative in this segment. We believe this framework will be of particular interest to the market, as our green bonds will be focused on industrial and R&D projects, which have significant potential in enabling us to reduce our climate impact”.